Through the Make The Switch micro campaign, Green Drinks hopes to persuade Singapore residents to switch to at least one safer, natural product. For the duration of October, Singaporeans can #maketheswitch by swapping their non-natural/organic product for a discount on an equivalent product at participating outlets. 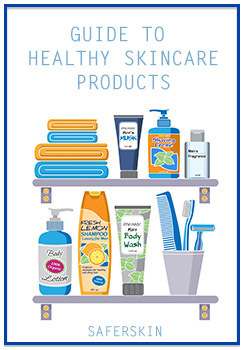 As part of our shareable photo campaign, some individuals will be outing some well-known brands and products for its not so natural ingredients, and sharing how they have made the switch to safer products. Anyone is welcomed to submit their own photos and blurb on what they have stopped using due to an ingredient they are not too sure of, and we will share it on Facebook and on our website. MADANA – 15% off yoga mats when exchanged with used mats. Mats that are in good condition will be donated to organisations that conduct yoga classes for the underprivileged in Singapore. Pure Tincture – One time 15% off all products when members of the public bring in a conventional skincare product to swap. * Terms & Conditions apply. Not applicable for other promotions/discounts. + For Make the Switch, discount will be applied to the same product category as the “toxic” product brought to the store. Big thanks to Warren Wee for sponsoring our photoshoot. His other work can be viewed at www.warrenwee.com.